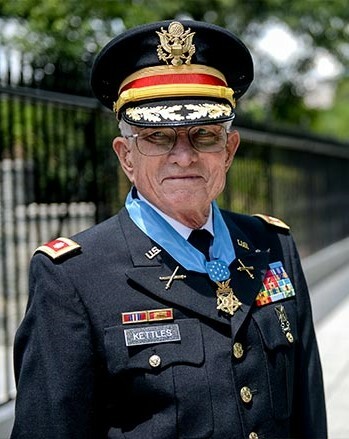 Retired U.S. Army Lt. Col. Charles S. Kettles was born in Ypsilanti, Mich., Jan. 9, 1930. The son of a World War I Royal Air Force (Canadian) and World War II Air Transport Command (U.S. Army Air Corps) pilot, Kettles had aviation in his blood. While attending the Edison Institute High School in Dearborn, Michigan, Kettles honed his love of flying on the Ford Motor Company Flight Department simulator. Kettles completed his bachelor’s degree at Our Lady of the Lake University, San Antonio, Texas, and earned his master’s degree at Eastern Michigan University, College of Technology, in commercial construction. He went on to develop the Aviation Management Program at the College of Technology and taught both disciplines. He later worked for Chrysler Pentastar Aviation until his retirement in 1993. Kettles currently resides in Ypsilanti, Michigan, with his wife Ann. 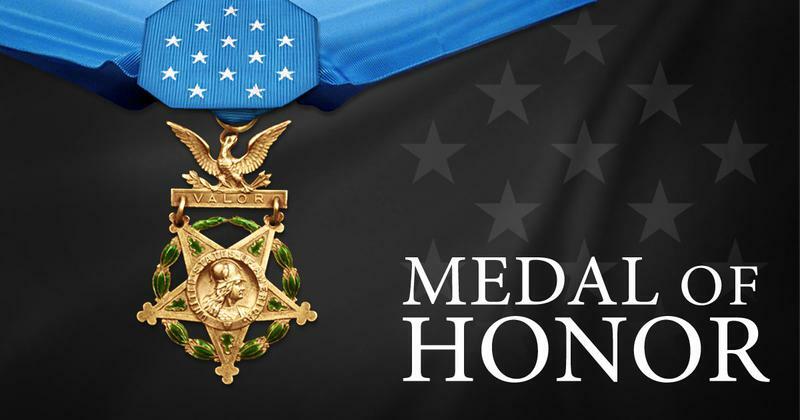 Kettles’ awards and decorations include the Distinguished Service Cross, the Legion of Merit, the Distinguished Flying Cross, the Bronze Star Medal with one bronze oak leaf cluster, Air Medal with Numeral “27”, the Army Commendation Medal with one bronze oak leaf cluster, the National Defense Service Medal with one bronze service star, the Korean Service Medal, the Vietnam Service Medal with one silver service star and one bronze service star, the Korea Defense Service Medal, the Armed Forces Reserve Medal with bronze hourglass device, the Master Aviator Badge, Marksman Badge with carbine bar, the Valorous Unit Citation, the Republic of Vietnam Gallantry Cross with bronze star, the United Nations Service Medal, the Republic of Vietnam Campaign Medal with “60” Device, and the Republic of Vietnam Gallantry Cross Unit Citation with palm device.